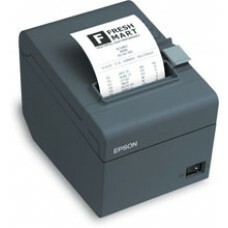 Epson's cost-effective ReadyPrint TM-T20 thermal printer is the latest addition to Epson's line of energy-efficient POS printers. Based on Epson's advanced printing technology, the ReadyPrint TM-T20 was designed specifically to meet the needs of low volume retailers with basic POS printing functionality, high reliability and ease-of-use features. 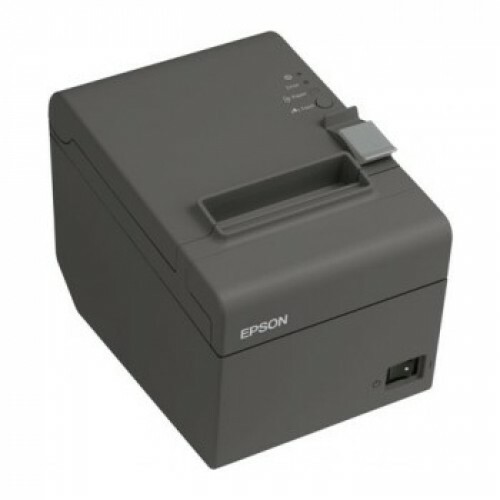 Epson TM-T20Epson's cost-effective ReadyPrint TM-T..
Epson TM-88V - Thermal Receipt..
Fast and versatile printing up to 300 mm/secondThe..
Epson TM-T88IV - Thermal Rece..
Epson TM-T88IV USBThe TM-T88IV Thermal Receipt Pri..
EPSON TMT70 USB PRINTER BLACK ..
EPSON TMT70 USB PRINTER The TM-T70II is the r..
Epson TM-U220: TM-U220B - Impa..
Epson TM-U220: TM-U220 - Impact printingEpson's TM..